On the 9th of October we held our monthly branch gathering in the Polding Centre. 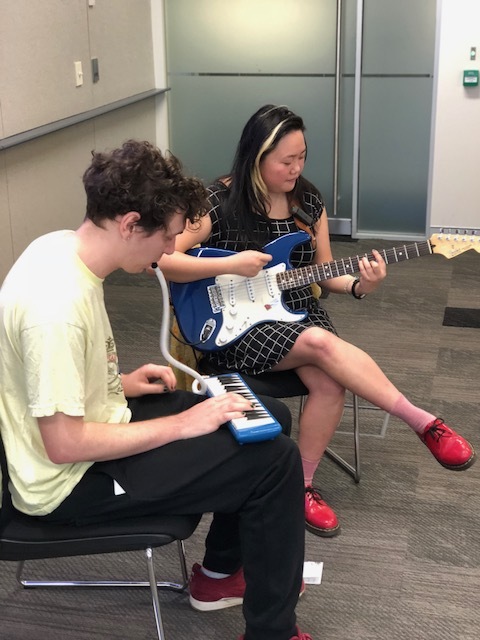 We were excited to be joined by Rose Chan and Fenn Idle, local musicians, who performed some music for us. Rose and Fenn studied various levels of music during high school and at university. They both teach music (piano and flute) and play in a few local bands. For their performance to us, Rose played electric guitar and sang, and Fenn played melodica. They played their own original music and some covers. They also sang an acapella version of the Everly Brothers song “Cathy’s Clown”, having never practiced it before - we were very impressed! It was great to listen to two very talented musicians. Thank you Rose and Fenn! Newer PostAnnual General Meeting plus New Issue of Inform!